Financier/Stock Broker. The Wall St. Journal Mouse. Wood newspaper had readable articles. Back of paper left blank to add customized articles. Financier/ Stock Broker. 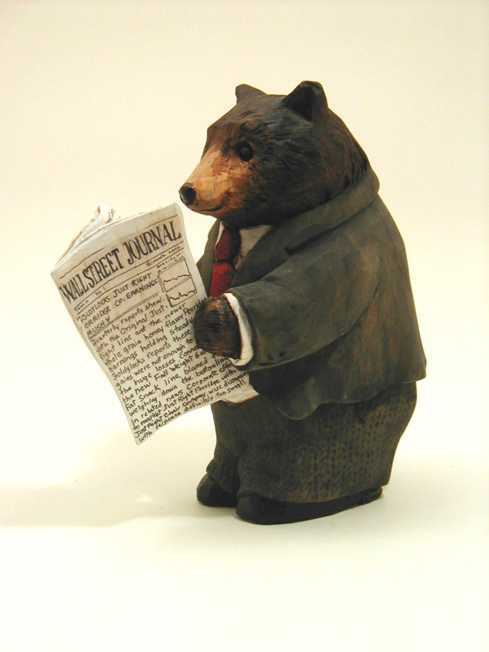 The Wall St. Journal Bear. Newspaper as above, but the articles all reflect a "Bear Market". Headlines include "Just Right Porridge Co. Earnings Mushy" and "Salmon Fishery Swims Upstream In A Down Market." 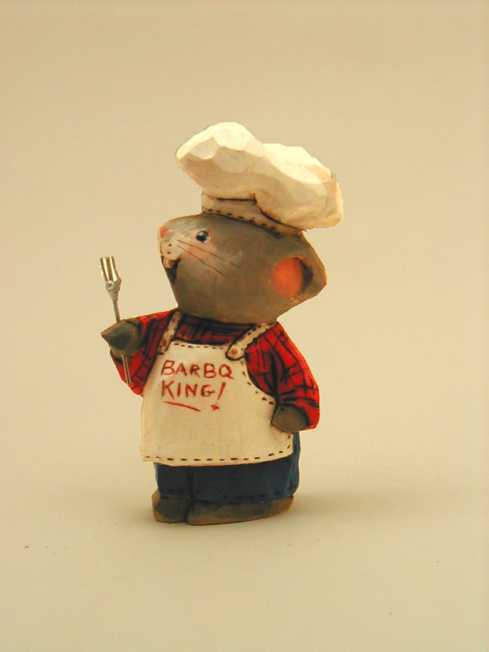 B.B.Q. Master. Magnet 3 3/4" tall. Also available as a chef. Example of work done at a customer's request. Cook. Sheep reading "The Joy of Cooking, vegetarian edition". Wall sculpture 18" high. Also available as a black sheep. Another chef, holding a tin of muffins, can be found in the last photo of Old Favorites, under Recent Work in the Picture Gallery. 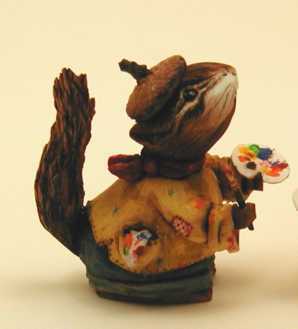 New, chipmunk artist. 3 1/2" tall. 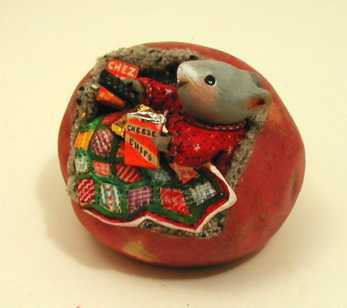 Mice artists, in two sizes, can be seen in the Recent Work section in the Picture Gallery. 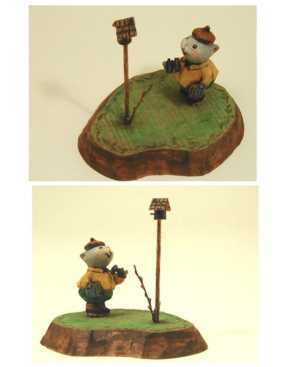 Birdwatcher, with birdhouse. Base approx 3 1/2" x 3" birdwatcher holds "Birds of NH" guide book. Also available without the base. 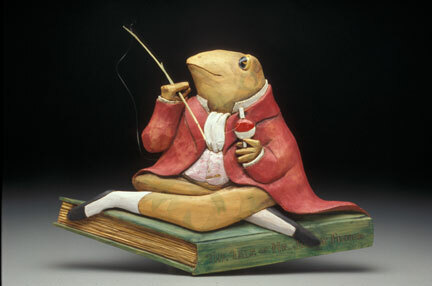 Jeremy Fisher Frog. Wall Sculpture 18" wide 18" tall. Skiers, Downhill and X-Country. 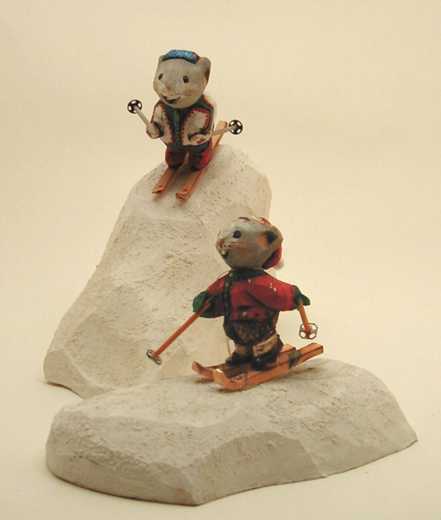 Can be ordered customized with ski outfits to match that of recipient. Book Lover. 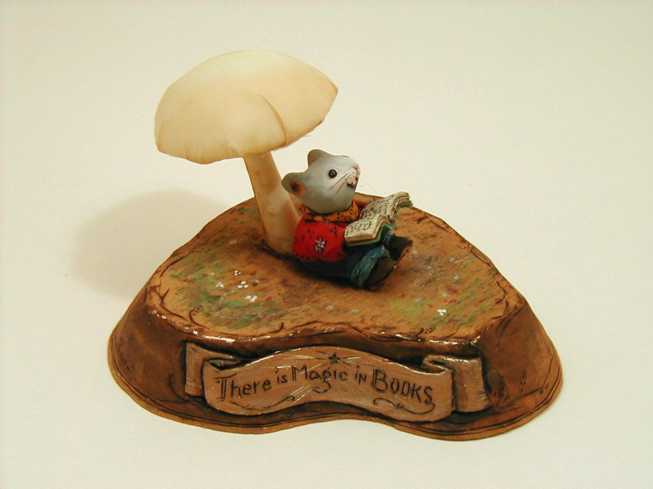 "There is Magic in Books" inscribed on base. Book, banner behind words and underside of mushroom glow in the dark. One of many book themed carving available. What avocation list would be complete without a Couch Potato! There will only be a total of 12 in this signed and numbered series. I make then in groups of three, and each successive group seems to get more snacks added. Do click each thumbnail to view the series enlarged. 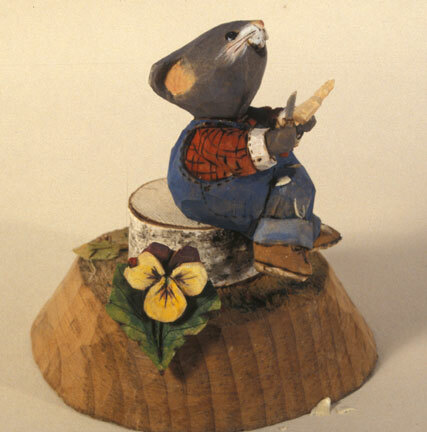 And of course, a Woodcarver. Other professions and avocations available include: Backpacker, Gardener, Knitter, Nurse, Mountain Climber, Quilter, Woodworker and Writer. More are always being added. 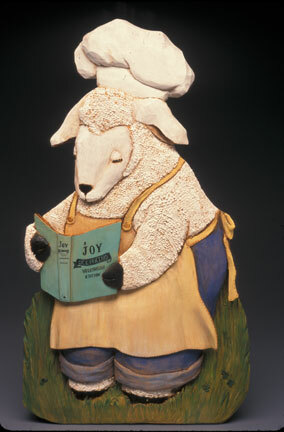 Content Copyright � 2007 L Nichols Woodcarving, website by OMKT-LLC. All rights reserved. Revised: September 16, 2018 09:51:18 AM.